Going to gas stations are overrated. As the world is finally catching onto the green trend, the car industry has been advocating for environmentally friendly and sustainable mode of transportation since the late 1800s. The popularity of electric cars (EV) has grown exponentially in the 21st century and it’s only getting bigger. Here’s why your next car should be an EV and not a gas car. According to the United States Environmental Protection Agency (EPA), motor vehicles that run on gasoline cause 75% of carbon monoxide pollution in the United States alone. In addition, gas cars causes 27% of greenhouse gas emissions which pollute the air we breathe and kill off our wildlife and forests. Making the investment in an EV will reduce harmful air pollution because an EV emits zero exhaust emissions. Some EV models are also made from eco-friendly materials. The Ford Focus Electric is made up of recycled materials and the padding is made of bio-based materials. You can simply save the Earth by driving electric! Car exhaust kills! Your long-term health is in danger by constantly breathing and being exposed to polluted air every day. Burning gasoline and diesel produces harmful gases like carbon monoxide and nitrogen oxide which contributes to serious respiratory diseases, cancer, and even premature death. 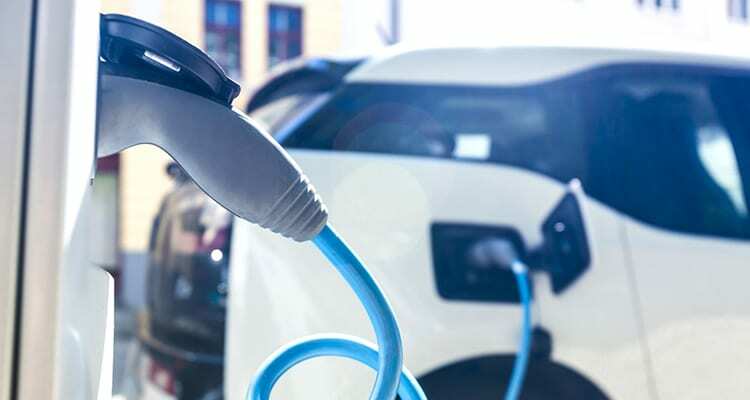 Say goodbye to oil changes, smog checks, and muffler and transmission issues because EVs have a lot less moving parts than an average gas car. Watch your trips to auto shops decrease and your costs for maintenance disappear. Batteries for an EV does need to be replaced but they last an average of eight years. Say goodbye to gasoline forever! You won’t ever need to complain about gas prices ever again! EVs are electrically self-charging while you drive and most public charging stations are either free or will cost you only a few dollars. Test drive an electric car and you’ll find its quiet and smoother ride so surreal. Because an EV has no combustion engine, you won’t ever have to hear anymore rumbling or vibrating while on the road. This makes music a lot more enjoyable in an EV! EVs also provide a smoother drive with higher acceleration which makes merging into traffic or proceeding from a red light a breeze. You’ll always be driving a better car overtime. Tesla updates every electrical software via over the air which makes your investment in an EV totally worth it. If you’re constantly looking for car upgrades, you can save your trips to the dealerships by getting an EV. With innovative companies like Tesla in the electric car game, you’ll have the most modern and top of the line vehicle on the road. By driving our kids in EVs, they’re getting the proper education on how EVs are beneficial to their finances, their health, and their environment. You also create a safer, cleaner world for them to live in and if you’re up for it, you could even pass down your EV and get yourself a brand new one. It’s a win-win situation! This entry was posted in Collision. Bookmark the permalink. At Las Vegas Collision Center, we have technicians that are I-CAR certified.